1. Camerone 2016 Official Web Site. 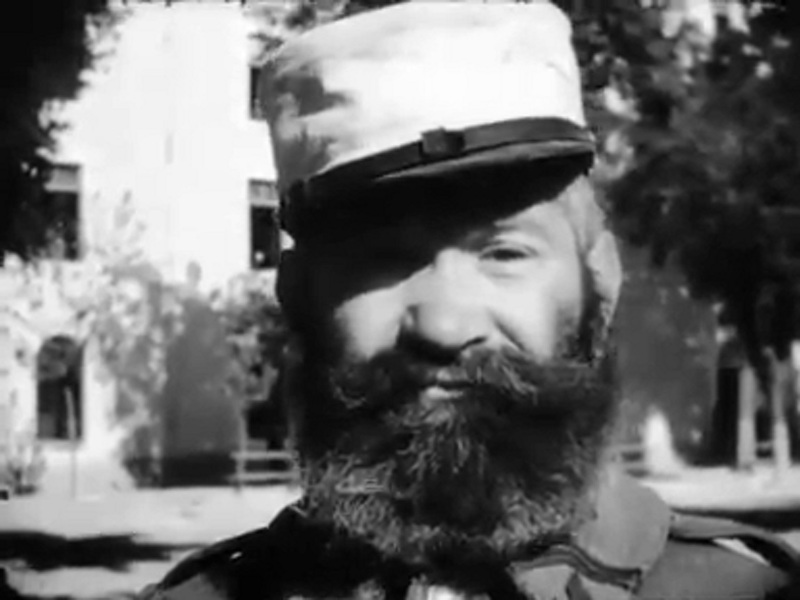 This website shows how the Foreign Legion headquarters at Aubagne is celebrating Camerone Day. Clicking on the Programs link you can see the agendas for the other Legion Regiments and major commands. 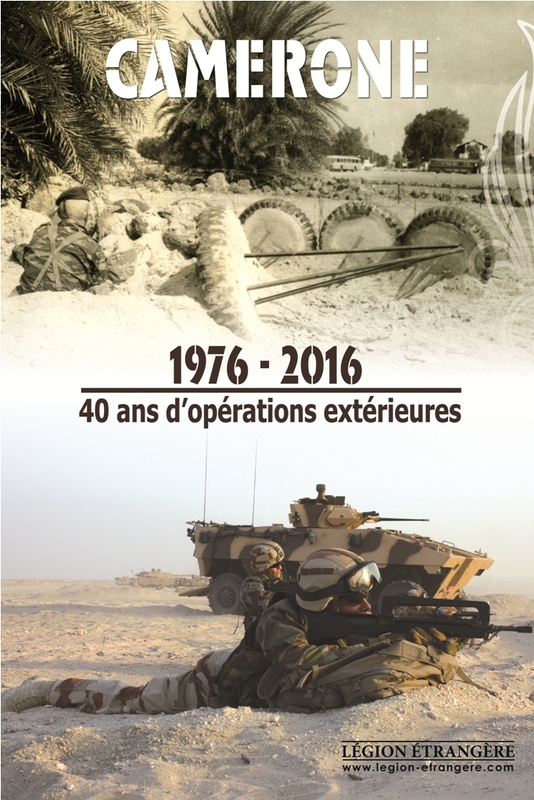 The theme for this year’s celebration is 40 Years of Overseas Operations. Next year, if you plan on attending any of these events which are usually open to the public, make sure you plan ahead, arrive early and follow instructions carefully. 2. Camerone Day 1944 (Sidi Bel Abbes). Here is a fantastic video of the 1944 observance of Camerone held in Sidi Bel Abbes, Algeria–the home of the Legion from 1843 until 1962. Here is a rough Google translation: “This is a short story of the film department of the French Army dedicated to the Foreign Legion on the occasion of the commemoration of Camarón that celebrated the heroism of the legionaries who, on April 30, 1863, bravely withstood Mexican soldiers during the Mexican War (1862 -1867) and mark each year the festival of Legionnaires military tradition. 3. 3rd Foreign Parachute Regiment Camerone Menu. Here is an oddity I found recently. A copy of the menu for the 3rd B.E.P. (3e Bataillon Étranger de Parachutistes), one of the first Foreign Legion airborne units . It was formed in November of 1949 and used mainly to train replacements for the 1st and 2nd Battalions who were serving in Indochina. It was stationed in Tunisia and also helped maintain order in that country. The 3rd B.E.P. was itself sent overseas (to Haiphong) in 1954 before returning to Tunisia in 1955. In September of that year it become the 3rd Parachute Regiment (3REP) for all of three months before being merged into the 2nd Parachute Regiment (2REP). This breakfast menu is from 01 May 1955. 4. Pegaso Camerone Diorama. 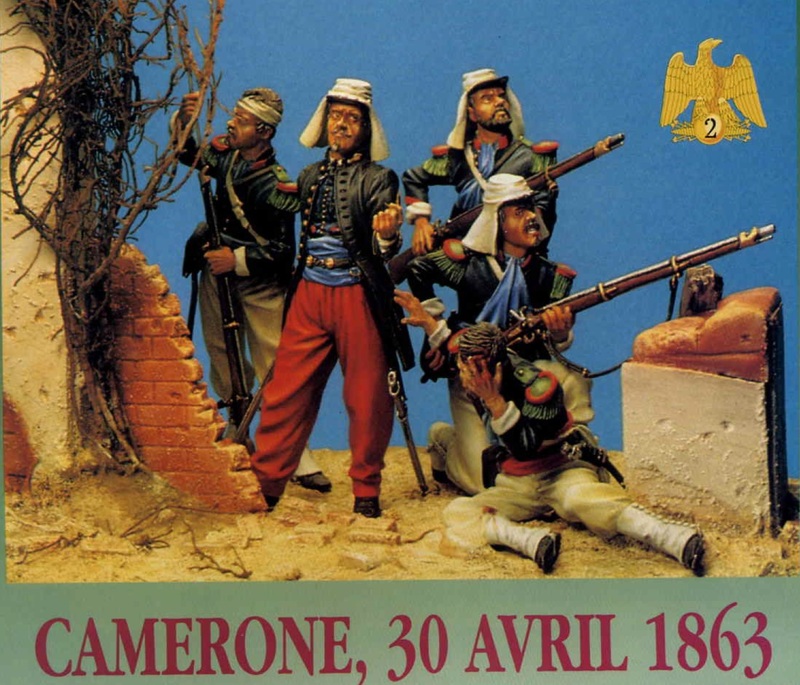 This short article is from issue #21 (Mar-Apr 1998) of the French language hobby magazine Figurines discusses the 54mm Camerone figure set / vignette from Pegaso. 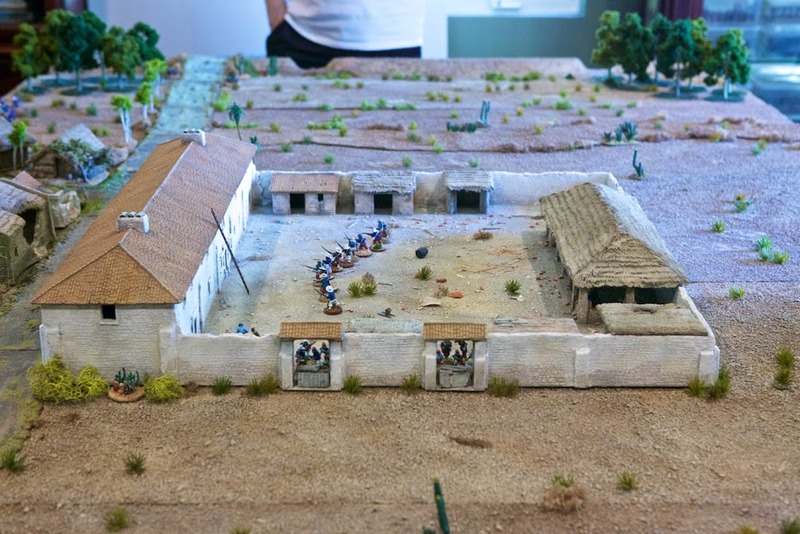 Here is another look at these figures at Algu’s World of Miniatures. 5. Kepi Blanc Camerone Poster Contests. Kepi Blanc Magazine, the official publication of the Foreign Legion, has been running a Camerone poster contest since 2007. At their website you can view the selected entries for the years 2007, 2008. 2009, 2010, 2011, 2012, 2013. Not sure what happened to 2014, 2015 and 2016. Perhaps they no longer run the competition. Here are a couple of entries from 2013–the 150th Anniversary of Camerone. 6. The Battle of Camerone. I want to give credit to whomever wrote this background paper on The Battle of Camerone but have no recollection of where I downloaded it. 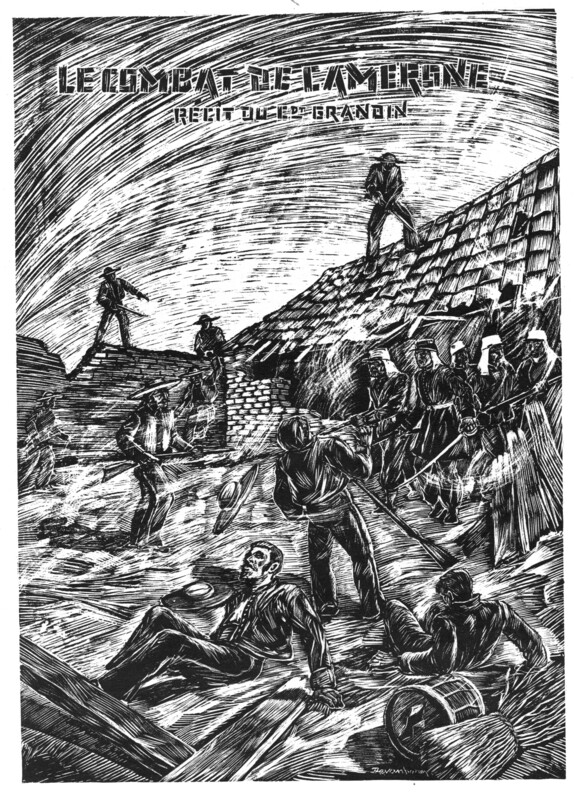 It is a well done historical summary with several illustrations about this famous event. Worth reading and saving. Much better than some accounts even with the dreaded “comic” font used in the .pdf. 7. Recit Historique de la bataille de “Camerone”. Here is another document that has many interesting items relating to Camerone. Text is in French but you can still see the list of the 63 Legionnaires who fought at the battle. It’s interesting to note that 17 of the 61 were still alive when the smoke cleared. Their names are on pages 13-15. 8. Camerone Day Blog. I link to this incredible gaming page each year. One cannot get enough of this table top layout of Camerone. 9. First Video. Here is the first video I found of the event held today at Augbagne. More are sure to follow but I’ll close out this post for now and perhaps update it tomorrow. And this video below is from Calvi, the home of the 2nd Parachute Regiment (2REP). 1 Response to Joyeux Camerone! Reblogged this on Ricky Balona Books.